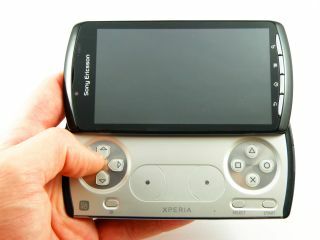 The Sony Ericsson Xperia Play, the first phone with PlayStation Certification, has managed to make its way to general release today. There were suggestions that Sony Ericsson would have to delay the handset due to freight issues, but The Carphone Warehouse, Phones4u and Orange all have managed to nab some stock to start selling it today. However, it's not going to be cheap - the average cost per month of the Xperia Play is over £35 per month, with the likes of Orange offering it for a whopping £40 per month deal. The handset will come with five games pre-installed with a further one available to download - although there are only six titles available directly from Sony: Crash Bandicoot, Cool Boarders 2, Destruction Derby, Jumping Jack Evil, MediEvil and Syphon Filter. The rest of the games - of which there are over 50 at launch - are mostly Android games re-purposed for the physical Xperia Play controls, but include the likes of Avatar, Age of Zombies and Nova 2. Early indications show that the Xperia Play phone has only received lukewarm critical success, with the lack of headline-games (Crash Bandicoot aside) on offer at launch meaning customers may not be overly excited to pay all that cash each month for a chunkier device. TechRadar has its own Sony Ericsson Xperia Play review going up very shortly, so stay tuned to find out if it's going to be a hit... or whether we're still going to be left waiting for the definitive PlayStation Phone.